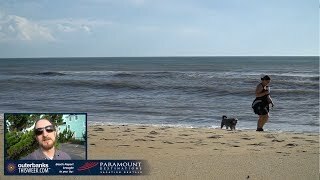 It’s obvious that the main reason the Outer Banks attracts so many visitors is its environment. You have Carolina blue skies, rolling sand dunes, expansive marshland, the Currituck Sound, Pamlico Sound and the mighty Atlantic Ocean. And what better way is there to enjoy this landscape than by living in it? Outer Banks campgrounds punctuate our coastline, but most are situated on the southern end, from Roanoke Island down to Ocracoke. Some are cradled in trees and cater to mostly tent campers; many of the National Park Service campgrounds are located right next to the ocean in sandy, unshaded terrain; a few are clusters of long-term camping RVs combined with weekly tent campers; a couple offer so many amenities they're called camping resorts -- horseshoes, badminton nets, tennis courts, pools and game rooms. You get to choose what geography you like along with the personality of the campground that will fit your needs. Check out all the listings we have here that will describe each Outer Banks campground and its amenities, then your choice will be as easy as folding back up that mega-tent! If you crave peace and quiet away from the masses, try this small campground on the sound. There are full hookup sites for RVs or campers, sites with water or electric, and tent sites. The atmosphere is very casual and family oriented. Hot showers and a bathhouse are offered. They also have seasonal sites available. Teeter’s is tucked into the trees down British Cemetery Road, near the heart of the village. It has been family-owned and operated since 1976. Tent, RV and camper sites are available with electricity and water hookup. Complimentary WiFi is available at all sites. Hot showers, grills and picnic tables are available. It's open April through November, and reservations are recommended.